In 1987 a Celtic site from the 6-5th century b.c. was excavated at Glauberg, Germany. A statue of a Celtic prince was found in the excavation. 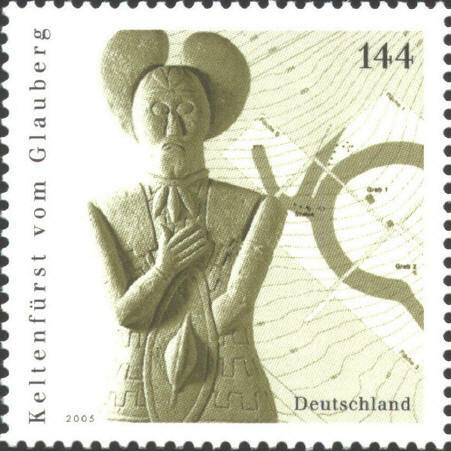 A stamp was issued in 2005 showing the statue against a portion of the plan of the excavation as a background.